Ok, so we are going backwards here for a minute. As part of the Friday Conundrum I had decided to marinate some Halibut. As soon as I sat down on the couch after getting the fish marinating, I promptly fell asleep. Then, I couldn’t decide what to make as indicated by my previous post. Fast forward to a few hours ago and it was time to use the Halibut. Oh, before we get to that, because the marinade had citrus in it I pulled the fish out after a few hours to make sure I didn’t end up with ceviche. The recipe for the marinade is included below, it is part of a marinade that we usually use for sea bass. 1/4 cup dry vermouth or dry white wine.We used Pinot Grigio. 2 cloves of garlic minced. Use more or less if you like. 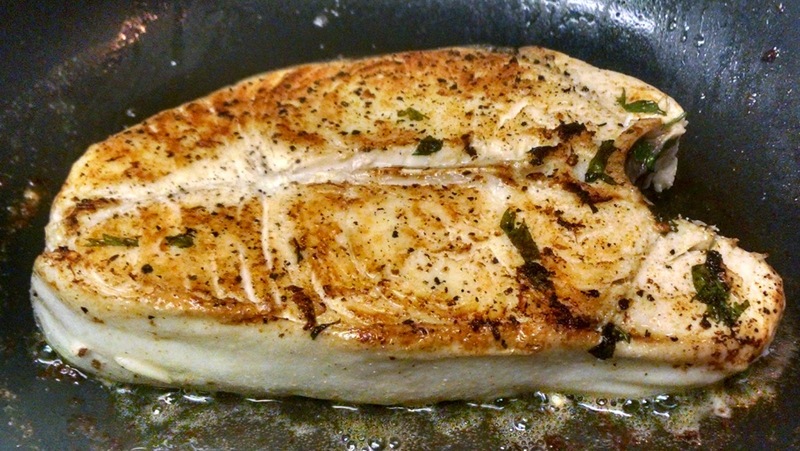 We had about a 1 1/2 lb Halibut steak, but certainly you can use less. Okay, here is the good news. This fish cooks up amazing and it looks awesome! Here is the proof. Here is the fish right before it went into the pan. I dried it off with a paper towel to draw out the excess moisture to help achieve that great color. Also, hit it with a little salt and pepper right before it goes in the pan to help add more flavor as the halibut cooks. I use butter and a little oil here to get this fish going. Again, channel your inner Julia Child if you think you need more butter. Typically I use about 3 tsp of oil and a small pat of butter. Okay, ready for more? I suspect you know how we achieved this color. Lets review, don’t touch it!! Let it go (sorry for the Frozen reference). Leave it in the pan and let it get some color. I think I flipped it once and then got both edges. Decided we needed a little green, nothing fancy really. 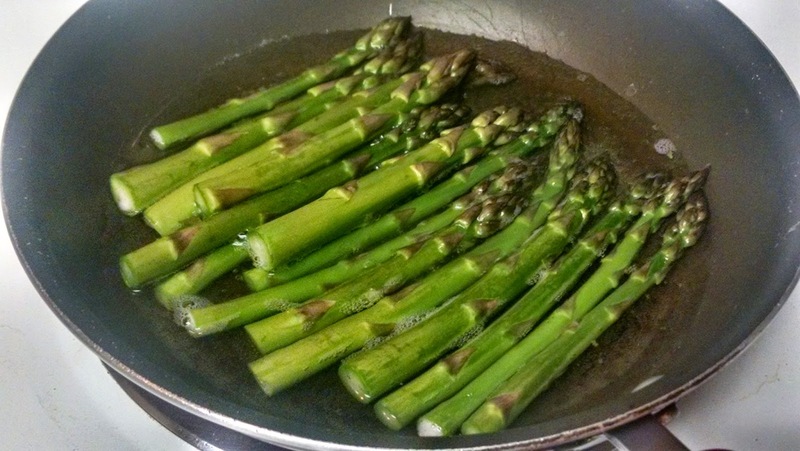 There are a number of ways to cook asparagus. Ours is covered with water about 2/3 of the way up and salted heavily, which will help flavor the asparagus as they get tender. To check them you should be able to pierce them with a fork. You want a little resistance, otherwise the asparagus will be soft and mushy. 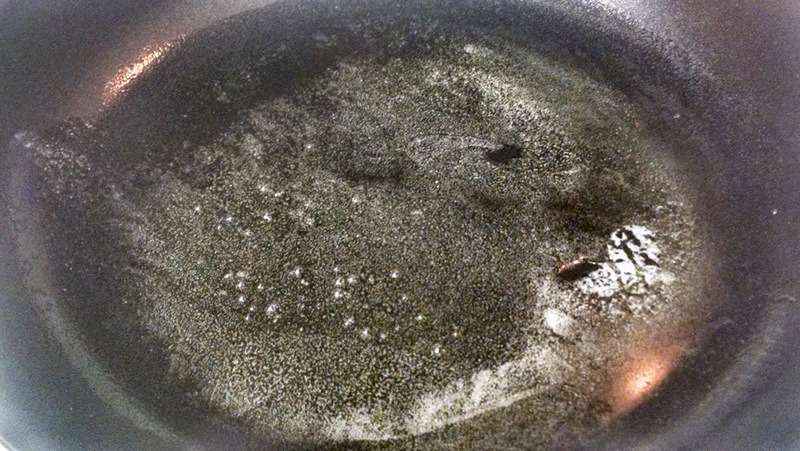 OK, drain off the water and finish with a little oil, salt, and pepper. Now the bad news. For whatever reason, although the fish looked good, it didn’t deliver as billed. It was cooked well, but it really lacked the punch of flavor we expected. I can think of three things that happened to cause the letdown. 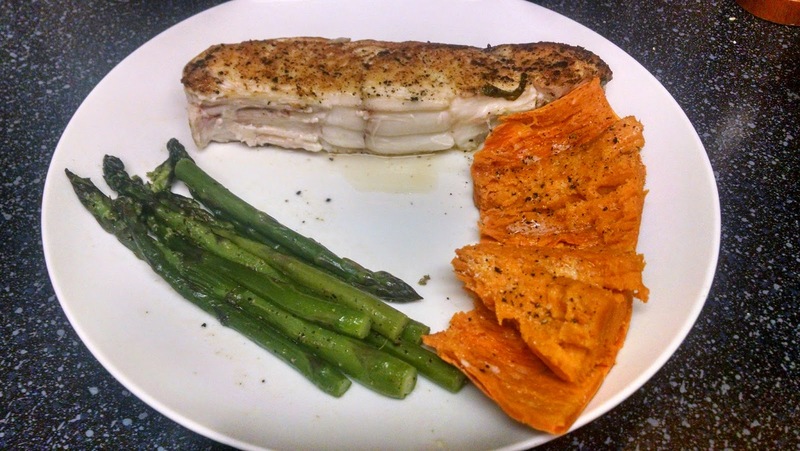 First, it could have been that the citrus in the marinade penetrated too far into the fish. 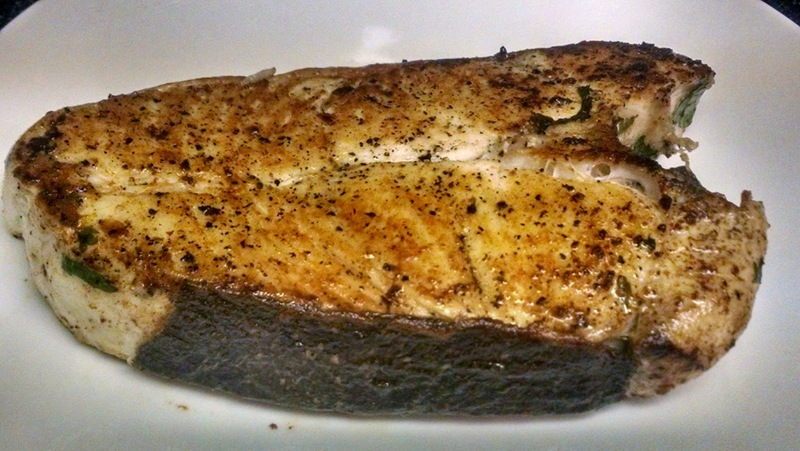 We do everything that the sea bass recipe calls for except using the low sodium soy sauce. Again, it is easier to control the salt when you add it without killing the flavor of the sea bass. However, if you want it, go for it. Lastly, the fish may have been a touch over-cooked either due to the citrus or me trying to get good color on the fish. Finally — on a whim I decided to add the leftover marinade to the pan I had cooked the fish in, and turned it into a pan sauce. That really made the fish pop with flavor. I was happy to have that to add to our plates, because while on the whole the meal was a little lacking, the fish finally jumped off the plate.